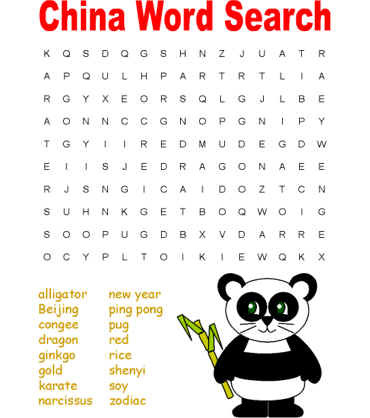 Print out one of the the word search puzzles with vocabulary words about the country of China. Encourage the children to find and circle the words listed. I think word searches are a great way to expand and practice vocabulary words!